Like most of you, I have enough junk, things and stuff to open up a thrift store. I am forever needing to find places to put things. Finding boxes to toss it in is easy, but finding aesthetically pleasing organizers is not. Enter the Dorm co Sorority trunk. 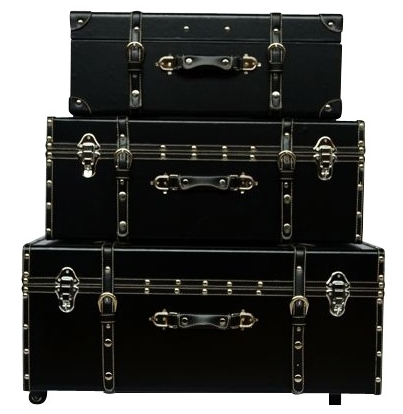 This trunk has such a classic look that has stood the test of time for many decades now. I don't think It will ever go out of style. The features are very clean lined and simple, yet fancy. I chose the classic black. We all know you can't go wrong with black. It goes with everything, and I'm just partial to the color. The buckles are just for show. It closes with convenient snaps. The trunk is very durable and heavy. It's only a size small, but you can pack a lot in it! I transferred all of my samples, knick knacks and some things I had nowhere else to put. They were all sitting inside a huge ugly moving box and I desperately needed a place to put it all. They fit perfectly, and a lot of things I could stand up, due to the depth of the top. Nothing prevents me from closing it completely shut. I hate thin tops, as you always end up needing just a little more extra room. I absolutely love this trunk. It looks perfectly pretty with my purple bed spread and all over purple themed room. I'm just so pleased with it, and thankful I don't have to use an ugly old box or rubber maid tub. I never thought i'd say this, but i'm truly delighted to have more "junk in my trunk"! I think the Sorority Trunk would make an excellent back to school necessity for any collegiate. You could use it for stashing your holiday supplies, makeup, books, cd's, dvd's, knick knacks, snacks, clothes, shoes, or anything you don't want to be seen, but concealed in a pretty way. If you are a mom and thinking about what to give your newbie college kid, this would be perfect to send them off with! Even though this store is geared toward college students, they carry many things like this trunk that anyone can get great use out of. 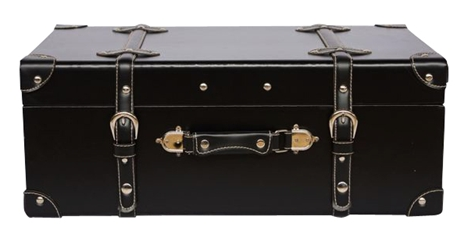 This trunk is only $34.99 AND Everything on their site costs just $2.99 to ship!! I think I may have to save up for the largest one on wheels or get the whole set. Also, Purchasing the FULL Set saves you over $30 at $159.92! That is basically like getting the small one FREE. Check out all the many things Dorm co has to offer for your organization. They carry everything you'd ever need in a dorm room and a lot of what you need in regular every day life. Most importantly, at affordable prices! NICE! I really want one of these and honestly... I'd probably use it for the same thing as you did! Even with all of my recently purchased storage I could use more! Very nice! I would love one! 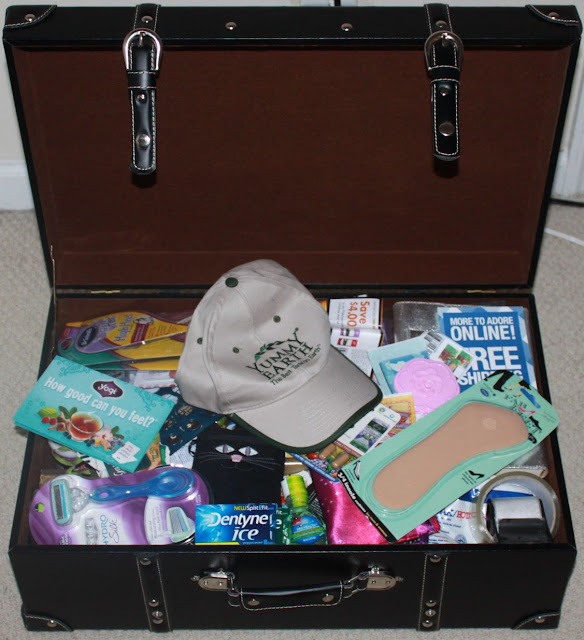 I absolutly LOVE the looks of this trunck...and I have alot of college age kids who could SOOO use this! Thank you!! Great review! I would love one of these for myself. Maybe to store my kids' toys! LOL! 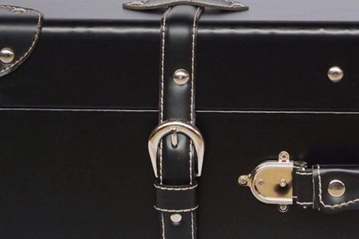 That trunk looks so well made, and I love how basic black it is. It's perfect. Very nice! My husband and I have been wanting to get one of these,we need it to put extra pillows, blankets and stuff in! I'll have to go check this site out! Thanks! These look awesome!!! I really could use one of these kicking around. These trucks are awesome. I really love the one on wheels. I love the low shipping too, that is wonderful on big items. Awesome review. Very nice. My daughter could use one or two of these for college. I really love them! They're sleek and stylish and I think just about anyone could certainly make something out of them! They even look like you could put them in the corner and make a centerpiece out of them - good for students with no storage!